Classic, versatile, timeless. 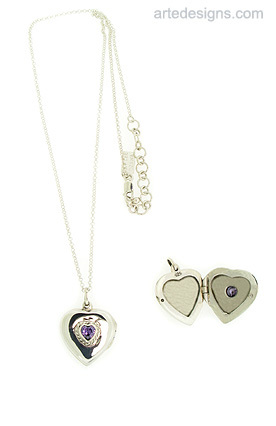 This sterling silver heart locket has a sparkling heart shaped amethyst stone in the center. 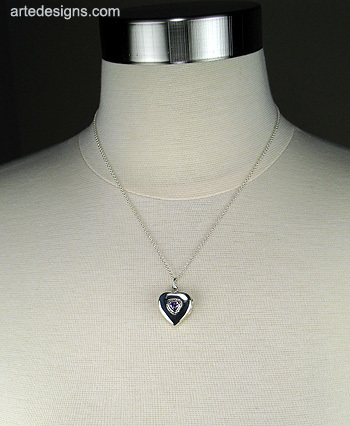 3/4 inch W x 15/16 inch H. Adjustable 16-18 inches or 18-20 inches sterling silver chain with a lobster clasp.